Show Notes: Welcome to show #59. I cracked some mystery seeds this week, I found them in jar on a shelf. I used the cup of water and paper towel technique. IG suggestions - Derek Gilman suggested hanging the bag so the roots grow straight down which makes them easier to plant. Someone else suggested soaking the seeds in a 1:1 ratio of water to hydrogen peroxide for a stronger tap root, I’ll try that next time. I can’t find who suggested that. Saturday, April 20, 2019 at 07:00 PM to 08:30 PM, join KopSun for a look at the classic 1936 propaganda film Reefer Madness. This event will include remarks by a local film specialist and a Q&A with the audience. Tickets are $15 and available at www.thealcazar.org. For questions, email info@kopsun.com. Please note: There will be no cannabis products for sale at this event. Carpinteria is a smoke free city, and the Alcazar Theatre strongly enforces this ordinance. QUARTERLY CANNABIS WORKSHOP AND NETWORKING EVENT April 18, 2019 | 6–8 p.m. Impact Hub | 1117 State Street, Santa Barbara $15 advance/ $20 door. Strain of the Week: Dutch Treat: The dense, sticky buds, smell of sweet fruits mixed with pine and eucalyptus trees. The cerebral high comes on quick and leaves consumers feeling uplifted and euphoric while reducing stress and relaxing the mind. Social Media: Microdosing THC, I smoked a joint and tried to figure out why the term bugs me. I don’t have a problem with the idea, it’s the word that bugs me. The marketing annoys me. Predator of the Week: Amblyseius (=Neoseiulus) cucumeris, go to Inmygrow.com to read the full text. 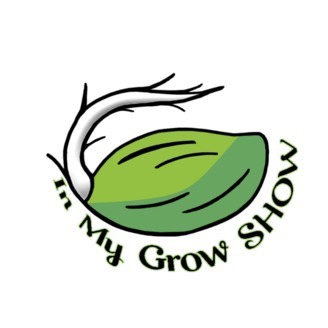 Support the show - Go to Patreon.com and find the In My Grow Show and donate what you can. "Cannabis Saves Lives" T-shirts are here for you. to check it out. CLICK HERE check it out. 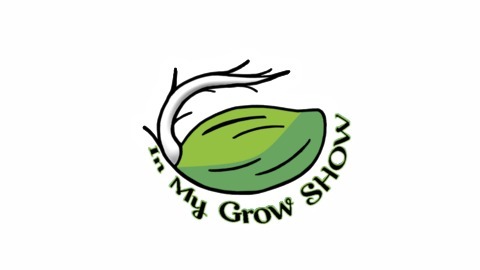 In My Grow Show hosted by Alex Robles: Ep. 56 Rodney stops by to talk about "Spannabis 2019"
"In My Grow Show" hosted by Alex Robles: Ep. 55. Top 5 questions asked at a cannabis dispensary.